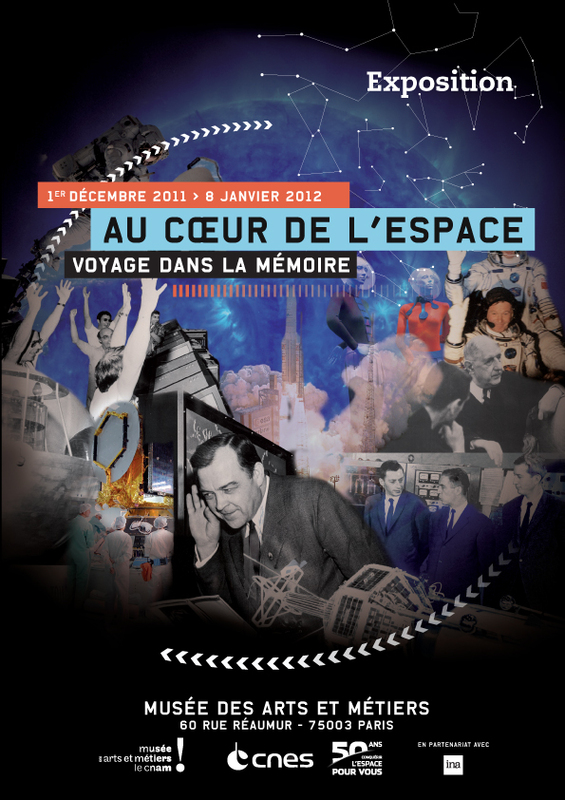 To mark its 50th anniversary, CNES is organizing in partnership with the le Musée des Arts et Métiers a temporary exhibition entitled Au cœur de l’espace (At the heart of space) from 1 December 2011 to 8 January 2012 in the Salle des Textiles. The exhibition will take visitors back on a trip through time documenting events that have shaped France’s space endeavour. The Au coeur de l’espace exhibition will spotlight the key milestones in space history in which CNES has played a leading role, from an international perspective starting after the end of the 2nd World War and leading up to today’s space missions. Original objects such as rockets, satellites, engineering equipment and scientific instruments will be on show alongside works of art, testimonials, fiction, audiovisual and radio archive material to relive the many facets of this adventure over the last half century. This sensory trip back in time and space is underscored by immersive staging with lots of archive imagery from each era. Visitors will thus recollect the defining moments of the space adventure and discover the less-well-known story of French and European space through its protagonists and feats of science and engineering, as well as its cultural impact and the obstacles overcome along the way. Among the highlights will be the story of France’s first space launch base in Hammaguir, Algeria, the political crisis sparked by the Symphonie programme and works by Yves Klein and Pierre Cardin. More recent events will also be recounted through the history of the Ariane launcher, the Guiana Space Centre and the SPOT Earth-observation satellites. Entry included in the price of the permanent exhibition ticket.